Digital Photography Book, Part 5: Photo Recipes from Peachpit Press is a comprehensive guide showing you how to achieve distinct photographic looks from start to finish. Authored by Scott Kelby, this 240 page book contains a wealth of photographic recipes that include a descriptive behind-the-scenes walk-through of how Kelby "got the shot." In each spread, the resulting photograph is broken down into four segments: what exactly you are seeing behind the scenes; a list of all camera settings, lens info, and lighting setups; thoughts on process and why things are done a certain way; and the steps involved during post-production in Lightroom or Photoshop. The book is written in a straight-forward style, free of confusing jargon and theory, in order to help you achieve the results you are looking for in a seamless, efficient manner. Box Dimensions (LxWxH) 8.9 x 6.0 x 0.6"
Book: The Digital Photography Book, Part 5: Photo Recipes (First Edition) is rated 5.0 out of 5 by 1. Rated 5 out of 5 by Michael Seeger from Great Book! 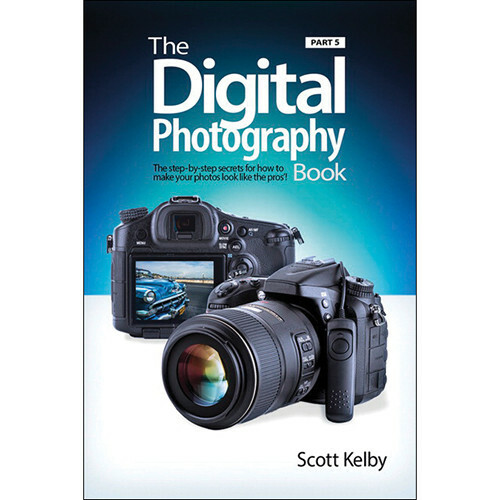 Like the other books from Scott Kelby, it is easy to read and to understand, well explained, and the recipes are just amazing!